No parent wants their child to be bullied. But what happens when your very own flesh and blood turns out to be the school bully? Many parents would go on the defensive, saying it's the other children's fault or the behavior is just normal teasing. It takes courage to acknowledge that your child needs help as the tormentor or the tormented. Even if you want to instantly defend your child, listen to what the school or other parents have to say. Let teachers know that you are willing to work with them and stop your child from continuing these behaviors. When working with your child, recognize that you don't have a "bad seed" on your hands. Most likely, he or she is experimenting with certain behaviors and can be steered away from establishing a pattern. There are many reasons why children are mean to others. Among the most likely is that they are seeking attention from parents, teachers or classmates. Or, perhaps they want to fit in with a new group of peers. And, even more likely, they're being teased at home or school and need to regain a sense of power by acting out against someone else. You can help your child stop bullying by incorporating a few lessons at home. For example, work on empathy skills together. Research ways to help children who are not as fortunate as they are. Talk about how you should interact with someone who is different and how everyone wants to be treated kindly. Praise your child for simple acts of kindness like helping a younger child or a family pet. If children are entering the preteen years, the issue may be that they feel out of control regarding all the changes that are occurring. Now’s the time to have “the talk” about feeling confident about themselves without lashing out at others. Let them know that everyone feels awkward during this stage of their lives, and it doesn’t help when they turn against others. Know that bullying may be going on because kids are allowing themselves to be bullied. Sometimes the lines get blurred, as in a new form of social media banter known as “roasting,” where friends or strangers online are asked to take turns insulting the person who posted the original video or photo. It may be good fun for adults, but for younger people, this practice can turn extremely hurtful. Check your behavior. Avoid gossiping or sharing hurtful stories about relatives or others. Don’t label neighbors or acquaintances as “weird” or shun people who are much different from your family. Watch your social media manners and be generous to new families moving in, making them feel welcome. If you find out there are conflicts at school, role play on how children can handle the situation differently. Encourage children to develop sound negotiating skills instead of resorting to teasing or hurtful behaviors. Emphasize the importance of achieving a win-win situation. Finally, make your expectations clear. Let children know that there is no tolerance for bullying and that there will be consequences if the behavior continues. For example, if you suspect that children are cyberbullying or fat-shaming, let them know that you will be monitoring social media activity and, if the behavior continues, technology privileges will be taken away. Also, check in with teachers and other parents regularly to ensure that you are getting a full and accurate report of progress being made. If you don’t see the behavior stop, know that there is help available. Talk to your school or family doctor about counseling or other support services. If you're looking for a family doctor or pediatrician, check out our physician directory. Whether you’re the parent of the bully or the bullied, you can help control the situation. To learn more, watch this video with Dr. Meade on talking with kids about bullying. "Boy" bullied - do you really believe we are all created equal? 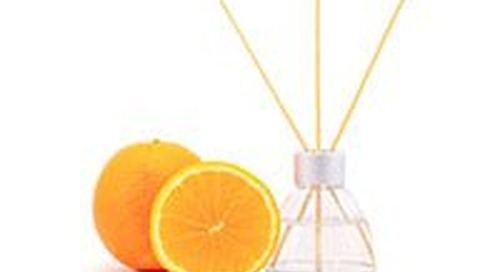 Natural air fresheners provide fresh scents without irritating chemicals.